GC America is proud to have created a library of online, on demand webinars by leading experts on a range of dental topics which is accessible to dental professionals who are looking to broaden their skills, improve their product techniques while earning CE credits. 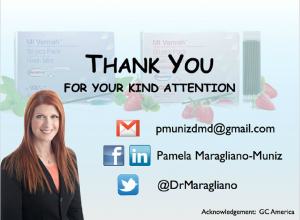 If you would like to enhance your knowledge, or that of your team members, on the topic of fluoride varnish, we can recommend the following 1 hour webinar presented by Pamela Maragliano-Muniz, DMD. 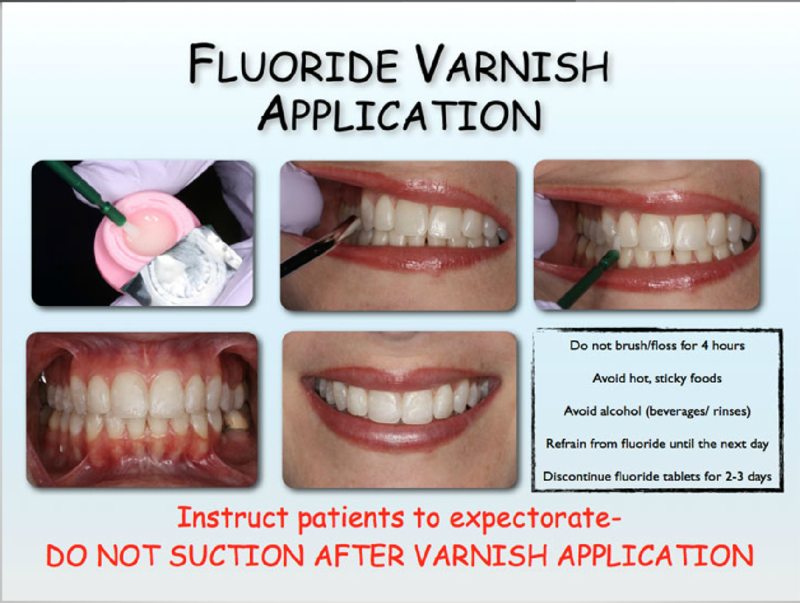 The presentation title is Fluoride Varnish: Improving Patient Satisfaction and Office Production and can be streamed online at no cost, worth 1 CE Credit. 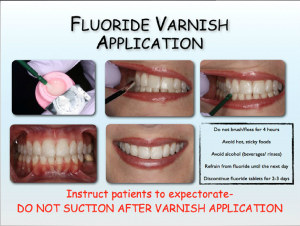 Why should I use fluoride varnish? How do I incorporate it into my practice? Dr Maragliano-Muniz is a prosthodontist and earned her certificate from the UCLA School of Dentistry after obtaining her DMD from Tufts University School of Dental Medicine. Dr Maragliano-Muniz is also a former dental hygienist: she earned her BSDH degree from Northeastern University and the Forsyth School for Dental Hygienists. She maintains a private practice in Salem, MA and she is an Assistant Clinical Professor at Tufts University School of Dental Medicine. Since being awarded the 2010 Adult Preventive Care Practice of the Year by the American Dental Association, Dr Maragliano-Muniz lectures nationally. She has recent publications that discuss Implementing CAMBRA in the private practice and the clinical effects of CAMBRA on root surfaces. 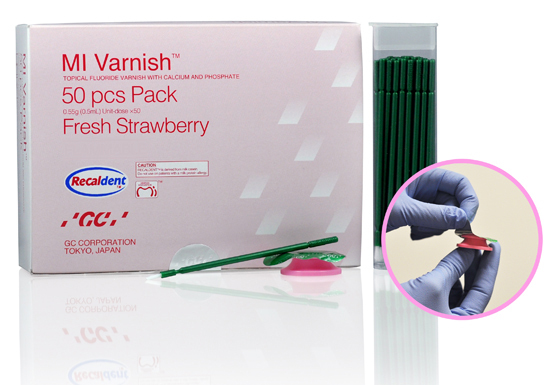 MI Varnish, a topical fluoride varnish containing Recaldent™. Recaldent™ also known as casein phosphopeptide – amorphous calcium phosphate (CPP-ACP), is a milk-derived protein that enhances the tooth surfaces with calcium, phosphate and fluoride. These ingredients, along with 5% sodium fluoride, make MI Varnish a reliable solution for the treatment of all hypersensitivities related to dentin exposure. 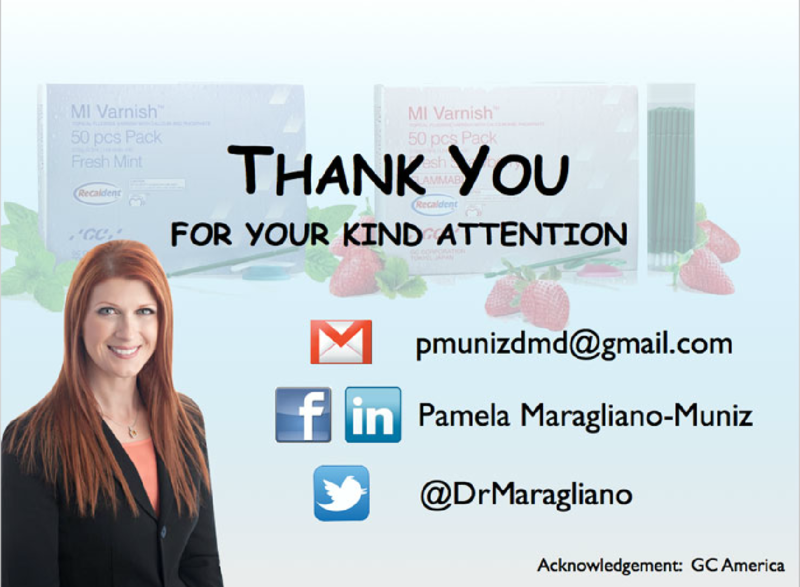 Due to its powerful effect, MI Varnish benefits patients of all ages and caries risk profile. MI Varnish is the only varnish in the market that contains CPP-ACP and clinical evidence supports additional advantages in preventive treatment for patients undergoing orthodontic treatment, high risk root surfaces, sensitive teeth, and fissure protection.